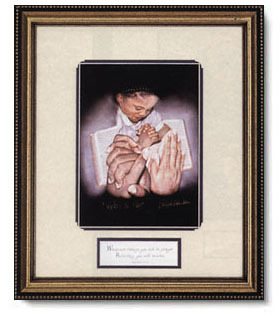 Comes in a gold finish frame with beaded edge (pictured above). "Whatever things you ask in prayer, believing, you will receive." Together We Pray copyright © by Richard A. Norris.